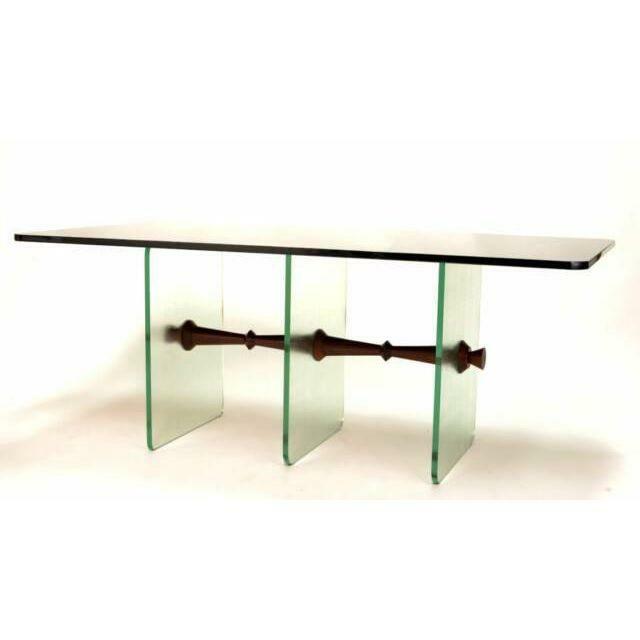 Rare inch thick black vitrolite glass top table made by the Pittsburg Glass Company, vintage 1950. 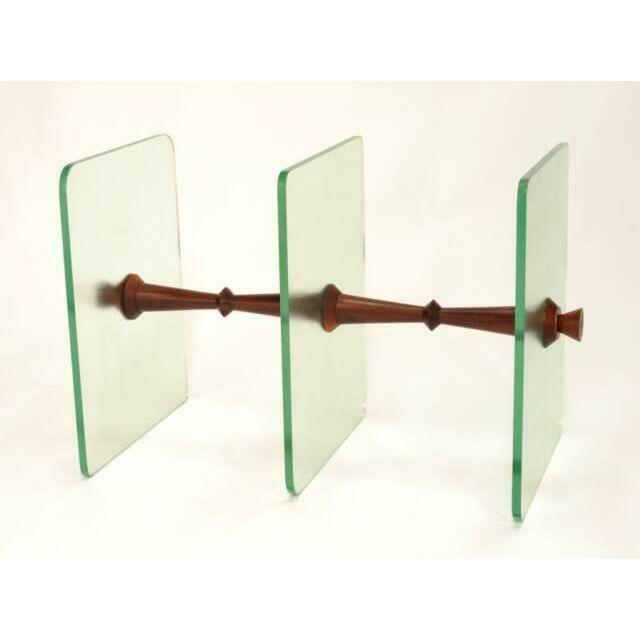 Supports are 3/4 inch thick clear glass with a combed, or textured surface, with a greenish hue indicating early twentieth century manufacture. The supports are joined by a steel rod shrouded in mahogany spindles. Glass top has been recently polished, the overall condition excellent.